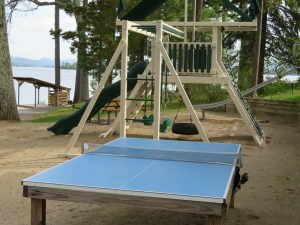 Lake George Resort Activities For Kids Of All Ages! Our Lake George resort activities provide a taste of old-fashioned summer fun for the whole family! 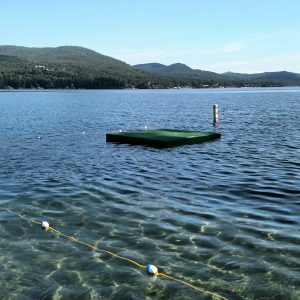 Families looking for the right Lake George family resorts for kids and adults find our spectacular waterfront location is an amazing backdrop for all kinds of games and fun. 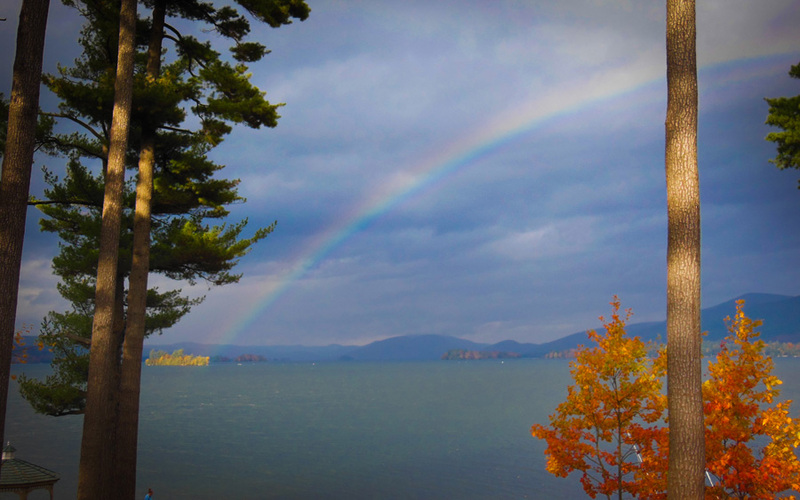 Our location on the quiet East Shore of Lake George offers a setting where time stands still and simple pleasures make lifelong memories. Enjoy some quiet time taking in the gorgeous views of the lake and the mountains in our gazebo…time dock fishing with the kids will be remembered long after your vacation ends. What would a summer evening on the lake be without roasting marshmallows? Picnic tables and barbecue grills are available throughout our spacious grounds for your use. 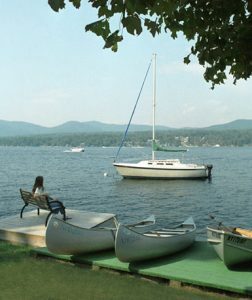 We are one of the few East Shore Lake George resorts with boat docking available for our guests! Check availability, request your reservation online or call (518) 668-2556 today to book your summer getaway and learn more about our Lake George resort activities!